The Children’s Place focuses on outfitting and making the experience of dressing your child a little easier. We provide our customers a high-quality, focused merchandise selection at prices that represent a substantial value relative to competitors. 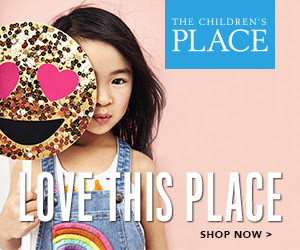 Interested in promoting The Children’s Place? Preview the The Children’s Place lander here. Get paid 1.6% of sales for each sale made through your affiliate links.